A new monthly book club in the US called Spread the Words has been announced by Open Road Integrated Media in association with the Fab Over Fifty program. The book club is tied to Open Road’s daily Early Bird Books newsletter, which offers recipients ebook deals and a dedicated site. 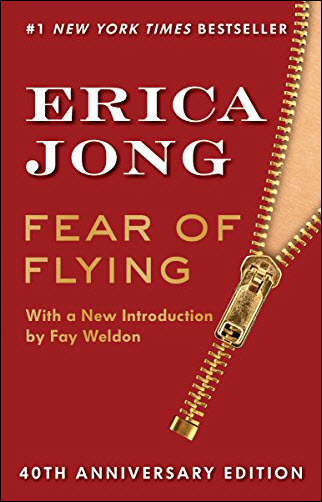 The first title chosen for the program is Erica Jong’s 1973 Fear of Flying, the 40th anniversary edition of which was published by Open Road in 2013. Currently described in promotional copy as, “The blockbuster novel of female freedom and empowerment that launched a sexual revolution,” the five-year-0ld edition from Open Road includes an introduction by Fay Weldon. Jong, the author of more than 25 books read in at least 45 languages, is scheduled to participate in a Facebook Live event on September 26 at 6:30 p.m. ET (22:30 GMT). Descriptive material on the new Spread the Words book club landing page at FabOverFifty reads, “As a busy FabOverFifty woman, finding time to read is not always easy—and finding a good book can be even harder. Yet reading is one of life’s true joys. We’re launching this Spread the Words book club in partnership with Early Bird Books to inspire you to read more. The program offers a digital copy of the book for US2.99, which Open Road’s sales page says is 85 percent off the usual price of $19.99. “Isadora struggles to be her own woman in a man’s world. How do you think things have changed for women since the 1960s and how are they the same? “Isadora says relationships are always unequal, that those who love us most we love the least, and vice versa. Do you agree? “How was Isadora shaped by her mother and sisters? Do you think her mother’s advice to reject the ordinary caused her pain or happiness? “The book ends on an ambiguous note. What do you think happens when Bennett walks in on Isadora? Is the ending affirmative or a comeuppance? Is the bathtub scene a rebirth, as some have said? “What is it about Isadora that provokes empathy? “Isadora often blurs the distinction between fantasy and reality. Is this seen as a virtue, a vice, or both? Open Road’s Early Bird Books is one of a suite of newsletters which have become the vehicles of various verticals through which the company provides its Ignition program marketing opportunities. They include The Lineup (true crime, horror, mystery, paranormal); The Portalist (science fiction, fantasy); Murder & Mayhem (mystery and thrillers); The Archive (history, nonfiction); and A Love So True (romance). Open Road Integrated Media indicates on its site that it now has more than 1 million newsletter subscribers and more than 3 million page views from 1.4 million unique visitors per month. More from Publishing Perspectives on Open Road Integrated Media is here. And more of our Industry Notes series is here.